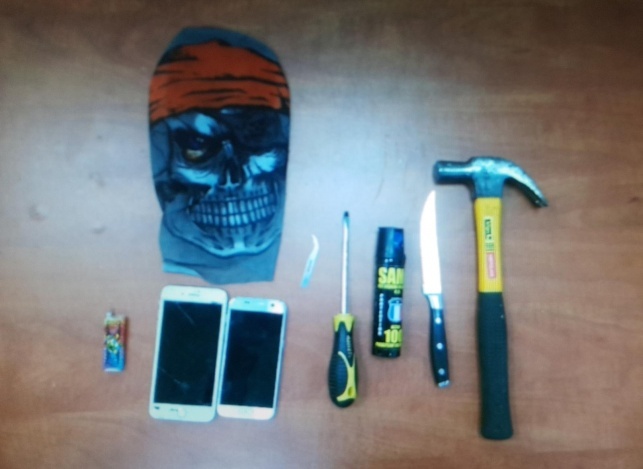 Four masked men ranging in age from 19-22 were apprehended by police while trying to break into a Meah Shearim store. They were apprehended after a short chase, carrying a knife, screw driver, hammer, pepper spray, their masks and other items. Police were called after receiving a report of persons seeing a number of suspicious persons in the area. They located one suspect waiting in a vehicle and then they apprehended the other three after the short chase. They were all taken in for processing and they were arraigned, and their detention extended to January 20th.